Dr. Cavell holds a Bachelor’s degree from Wesleyan University with Honors in psychology, and a Master’s and Doctorate from the University of Massachusetts. She completed a post-doctoral training program in psychotherapy and the treatment of addiction at the Addiction Institute of New York and worked for many years as a Senior Clinician at the Center for Motivation and Change in New York City. Dr. Cavell has worked as part of a research team creating treatments for panic disorder and has extensive experience using cognitive behavioral techniques for managing anxiety. 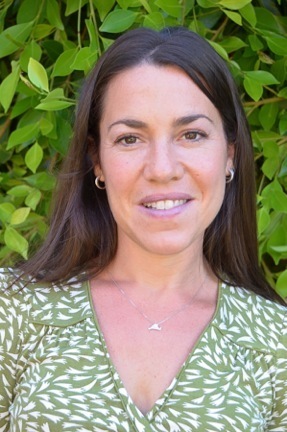 Dr. Cavell completed a clinical training program at the Cambridge Health Alliance, a teaching arm of the psychiatry department at Harvard University, where she cultivated expertise in conducting multi-dimensional evaluations of a wide array of emotional and behavioral difficulties. In addition, Dr. Cavell has helped to develop and implement empirically supported treatments for adolescents coping with substance dependence. Dr. Cavell’s Master’s thesis focused on identity development during adolescence and young adulthood. She maintains an active interest in working with young people as they grow and change. Her research and clinical experience has reinforced her profound belief in the resilience of teenagers when faced with challenges including divorce, parental loss, and other extreme circumstances. She has led therapy groups for family members who lost loved ones on September 11th, and has expertise in working with individuals who are grieving losses due to accidental death, suicide, and long-term illness. Dr. Cavell’s dissertation research and clinical experience provide her with a unique and hopeful understanding of what it means to navigate the complicated process of grief. Licensed Clinical Psychologist in Los Angeles California. © 2019 Emily Cavell PhD - Psychologist Los Angeles, CA. All Rights Reserved.